Cadillac picked the famous Pebble Beach to unveil the Elmiraj Concept. The main reason behind it is that this annual event in the Monterey, California area is a mecca for affluent car lovers. This car follows the tracks of the Ciel Concept, the four door convertible that was revealed by Cadillac at Pebble Beach in 2011. Elmiraj Concept shares the same length as Ciel at 205 inches and rides on 22 inch wheels. It is a two-door grand coupe powered by a 4.5-liter twin turbocharged V8 delivering an estimated 500 horsepower and has a rear wheel drive transmission. The Elmiraj was designed at G.M.’s studio in North Hollywood, California under the direction of Frank Saucedo and later hand built by craftsmen in Michigan. This car represents a superb mix of art and science with its delicately tapering body, low roof and excellent features. The vertical headlights and tail lights represent Cadillac’s signature style. Both the vents in the car’s long hood are efficient and act as hot air outlets for the twin –turbo engine. It has aluminium wheels that are buoyed by ceramic brakes. The exterior is rich blue finish, and the grille accentuates the car’s extensive road presence. The typical Cadillac crest appears in an intangible form and marks a new age of design achievement. This car’s style and design increase the brand’s commitment towards lightweight RWD performance. Inside the Elmiraj presents a lavish cocktail of leather, wood and titanium. The upper part of the instrument panel is a long single piece and the lower serves as a space custom-made for performance. Exclusive Brazilian Rosewood has been hand-cut and used in the most exquisite way. The car has a transparent analog tachometer and speedometer. Right behind that is a huge screen with high resolution display that shows all the information to the driver from the front mounted camera. It also has a 10 inch touch screen for connectivity and navigation that hides inside the instrument panel when not used. The bucket seats automatically slides, front and the back again into position once the passenger is seated. The rear bucket seats incline too and provide added comfort. A great announcement has been made by Citroen. It would be taking part in the World Touring Car Championship that is going to be held next year. The car they will be using is the all new C-Elysee WTTC. This car will come in front of the public for the first time in the International Motor Show that is going to be held at Frankfurt. September has been chosen for the event. The C-Elysee has all the features that a modern sedan must have. It has been designed keeping in mind the rapidly growing international automobile market. According to the authorities of the company it is going to sell well in countries like China and Russia. Latin America and the Mediterranean region have been also kept in the list of target markets. The car has a three box saloon body. This makes it a great choice in terms of aerodynamics. As this is the first ever racing car by the company the various components of the car have been installed in an easy way. The wheels have a diameter of 18 inches. The car also has a front bumper. An aerodynamic splitter has been also integrated to add to the power of the car. Citroen has also revealed the sketches of the car just one month after the announcement has been made. 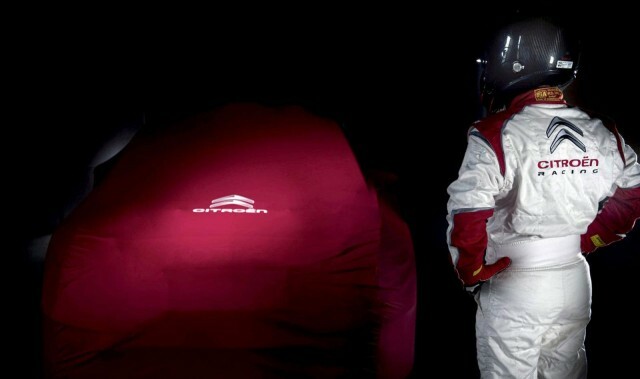 Sebastien Loeb will be driving the C-Elysee WTCC in the circuits of the World Touring Car Championship. The most exciting feature of the car is that it is the very first model that is going to be built keeping in mind the regulations that have been laid down by FIA. The original model of the car was brought in front of the public in the Paris Show that was held last year. At that very event it was announced that Citroen will be taking part in the 2014 edition of the World Touring Championship. It also have 1.6 turbocharged engine to provide the expected racing feel.